Repeat the Mantra a specified number of times. Normally the number of letters in the Mantra is multiplied by a lakh (100,000). Another way we can put it is 100 rounds of a mala (of 108 beads) per letter. 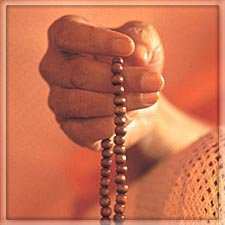 In performing the practice of counting the number of repetitions of the mala, 100 are counted as completed. The remaining are said to cover errors or omissions. The 8 are also said to be an offering to God and one's spiritual master. For example Navakshari (Navarna) Mantra is chanted 9,00,000 times. Suppose you are doing purascharana of Om Namah Shivaya. There are five syllables in the mantra, not counting Om. So you have to do five and a half lakhs (550,000) to complete the purascharana. Complete purascharana of Gayatri is twenty-four lakhs (2,400,000). 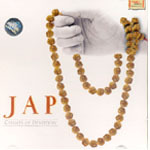 At every stage of mantra japa, blessings are received and a level of empowerment is achieved. Initially it seems a tedious task to chant the mantra, but as you start doing it regularly it takes over you and you start getting dissolved in its sweetness and energy. The closer you get to completing one stage, the more the mantra pulls you towards its completion. 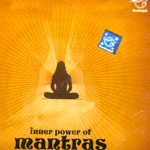 You get powers of achieving miracles once you attain Mantra Siddhi of a mantra and invoke its full power. 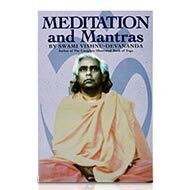 The spiritual master often passes a mantra whose Mantra Siddhi he has achieved to his disciple which enables the disciple to invoke the mantra power instantaneously. 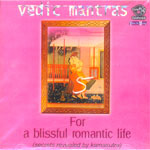 I find that in today's hectic life a very practical solution is to get Pundits to do Mantra Siddhi for you and then you can use the mantra to receive blessings in everyday life by chanting it few times every day. Dear Neetaji, Namaste. How joyful it was, to discover the emerald and the pearl ! I am very satisfied and so happy with all the gift, thank you so much. Now I wait a Muhurta to wear my gemstones, I feel more protected and uplifted. Sat chit Ananda. You rise people consciousness to a better blissful life, you are doing a great job, so divine! I'll recommend the rudra center to my friends, I wish you prosperity and abundance. God bless you. Kelig.